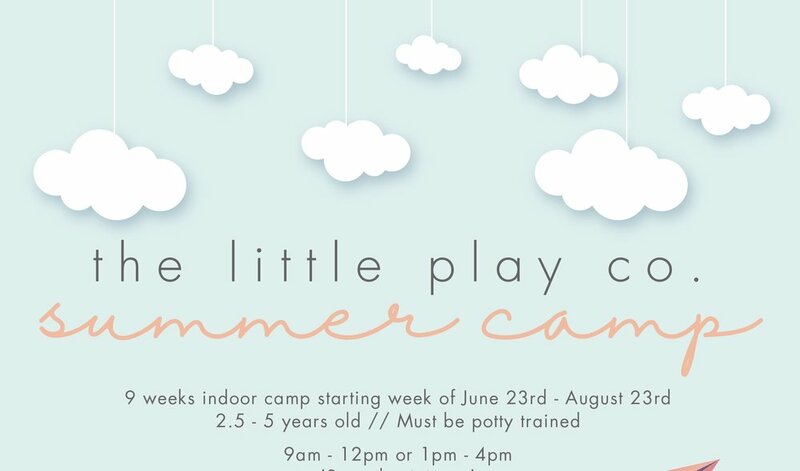 camp — the little play co.
We are so excited to announce our indoor Summer Camp at the little play co.!!! There will be so much for your children to learn, discover and explore with different themes each week! We will play, have snacks, do themed arts and crafts, no bake “cooking” activities, sing-a-longs and story time! Camp runs from 9am-12pm OR 1pm-4pm. Campers will explore, discover, create and learn through pretend play, arts and crafts, story time and sing-a-longs. Camp also includes snack time and group activities. MINIMUM of 2 WEEKS of camp. Pick your days. Contact us via the form below. Put CAMP as the subject and we will send you the registration info. Once we have received completed registration forms including deposit, you will receive a confirmation email with the remaining balance owed. The balance is due one month after deposit is paid. Cash/credit card/check/Venmo are accepted.